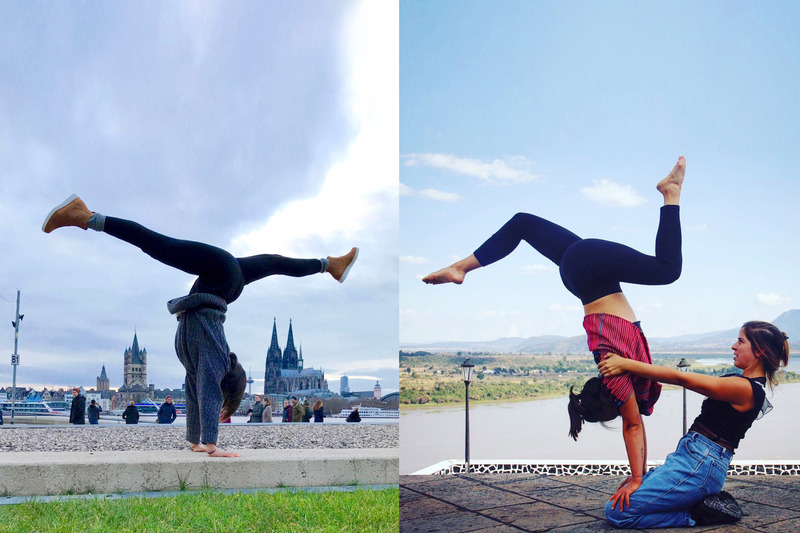 In this course we learn to unite the hand stand with movement flow. Our goal is to develop the confidence to lean on the arms and upper body as well as on the legs. As part of the training, we’ll go through dynamic exercises that strengthen the upper body and middle body, and take a closer look at the handstand from the technical side. We practice the going up as well as safe coming down from the handstand and then incorporate this into movements of standing, squatting, sitting etc. A playful approach with lots of motivation and time to try it out – in individual as well s with partner exercises. Suitable for those who want to be more confident in their arm strength and head standing in their movement practice (dance, yoga, acrobatics or similar). Dance experience is not needed, but a certain curiosity and experience with exercise and sports activities, as we unite fluidity with inversions (everything that is upside down) and thus provide our body with new challenges.